From the beginning of my association with Archangel Gabriel in 1990, the messages I received were full of CAPITALS. There were words I did not commonly use, such as Harmony, Joy, Wellbeing, Beauty, Peace — and always Light. He said these were qualities of spiritual consciousness and when I used them and integrated them into my being, my life would be transformed. It took more training to translate these “vague” ideals into the factual awareness that those very words impacted the magnetic fields surrounding my body. I then discovered there were magnetic fields around every cell within my body, including my DNA. I was told that lifting my vibrational frequency attracted these qualities of consciousness into my daily life. Archangel Gabriel gave me many reminders of the importance of using different ways to raise my energy frequencies. (See archived message here.) They were curiously similar to what my guru taught me more than a dozen years before. Certain activities that had become a part of my spiritual practice for years took on a greater relevance with these new messages. I had been taught to create a sacred space where I would go every day so it could build energy. The idea being that once I created a place that is holy to me used only for prayers, meditation and other sacred activities, my vibrational frequency would automatically increase when I go to that area. Having a sacred space not only enhanced my spiritual practice, it allowed me to have a special place for my new Angelic communion and brought more of my spiritual life into my daily world. Chanting, flowers, candles, incense were all ways I had been taught to raise my spiritual vibration. But then, Archangel Gabriel began adding these delicious words that I could melt into, allowing them to seep into the depths of my being. They then became more than words, more than spiritual principles — they became the living fields of energy in which I could live, move and have my being. When we are living in the radiance of these high frequencies of spiritual consciousness, we become a magnet for more of this supportive, empowering energy through the Law of Attraction. The qualities of consciousness in words like Beauty, Harmony, and Empowerment, become the fields of energy active in our lives. To achieve more happiness in life, it becomes essential to create a life that accentuates those possibilities through activating our magnetic fields with the energy of the goodness represented in these Spiritual Principles. The same laws can apply to the creation of negative situations. A conditioned space can also be one of sad memories, anger or fear. Through our thoughts, words and activities we can create more negative fields around us that will attract these same energies with increasing regularity. In this recent time of acceleration, we are shifting our dimensions and collapsing time in such a way that we can create instant manifestation in our lives. For the sake of our Happiness and Wellbeing, and for that of the planet, it becomes essential to stay in qualities that uplift our consciousness and provide more Beauty and Harmony to our daily lives. Our new “Living in Radiance” Teleclass series starts January 30. Please join us! We are not saying that you can think Wellbeing and that is all you have to do. We are asking you to receive the Divine Quality of Wellbeing into every cell. We are asking you to drink Wellbeing into your very DNA. We are suggesting you allow the Divine Energy of Wellbeing to permeate the magnetic fields of your body, flow through to your feet and anchor deeply into the core of the Earth. If you could do this, it would give you the capacity to become a Living Magnet for all you need in your life. Imagine for a moment what it would be like to be a living magnet. Consider the image of a Lighthouse – a very tall and sturdy place with a continuous beacon radiating very strong and brilliant light into the world. Use your vision and your prayerful intention to place the qualities of consciousness that you most need in your life within this Lighthouse. In this way it will become your personal Beacon of Happiness, Wellbeing, Harmony, Joy, Beauty, Empowerment, Peace, Prosperity — all the Divine Attributes that you most want to manifest in your life. This Beacon of Light is connected to the intelligence of your heart and the power of your soul so that you attract to you only the qualities you are asking for. Your Beacon of Light can be attuned to your changing needs. When you become clear about the divine qualities you want to receive from the Pure Field of Potential, you can connect deeply with your Higher Self to bring them to you. The longing of your soul vying for your attention caused the discontent you have been experiencing. When you are connected to your Higher Self, the form your life takes may be different from what you imagine, but it will fulfill you to the core of your being. It’s important not to narrow the possibilities for Divine Potential to take care of your every need in miraculous ways. What if you were feeling as if you wanted to move somewhere new? You may feel restless; a feeling of discontent is stirring within you. You are willing to move, but you have no idea where you want to go or how you could do it. 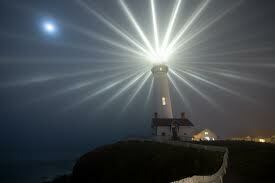 Before you get to frustration, remember your Lighthouse. This Beacon of Light is now open to receive. It is a link to your soul and aligned with God’s will for your life. 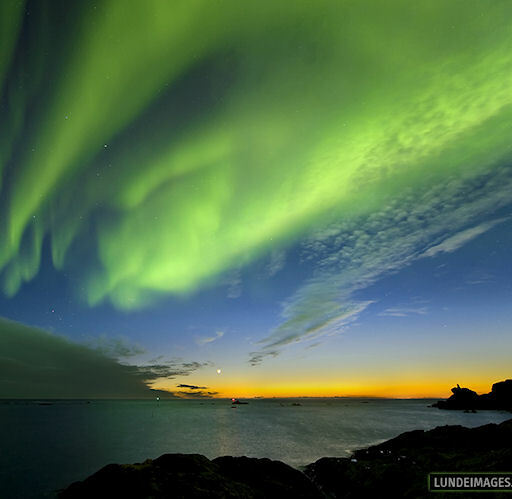 This Beacon of Light becomes a living magnetic field of attraction and it is very personal. You can now program your needs into your Lighthouse. If you desire a new home, think of what you would need to be happy there. Perhaps you would need Stability, Peace, a Community of like-minded souls, Right Livelihood that fulfills you, Beauty that inspires you. Those would be the Divine Attributes you would ask for and place into your personal Lighthouse. These qualities of consciousness are creating a living field of radiant light that attracts those very qualities like a magnet into your life. Suddenly a person tells you about a place you have never been but you feel attracted to. Perhaps you visit and a deep knowing arises within your being that you have found the place you want to live. Gracefully, you overhear a conversation about the type of work that uses your talents and skills, and you know it will provide the means for you to live in Wellbeing. In a synchronous way events begin to fall in place for you to find the home that provides all the qualities you asked your Higher Self to provide. That would be an example of purposefully creating a field of Light that carries specific Divine Qualities of Consciousness. Though it may seem like a miracle, it is the Law of Attraction at work. It feels delicious to your spirit when you live in the wonder of the radiant fields of Light that offer all the Divine Attributes you need. These fields are more available than ever before, because the new waves of higher energy frequencies are shifting dimensions on the planet. Visualizing a Lighthouse radiating living fields of Light that carry your soul’s desires into the world is one way that you can gracefully thrive in these new energies. It does, however, require you to be willing. Your Higher Self and the spiritual beings that guide you can provide for you in ways you never imagined. Your willingness to receive and change course when necessary will allow you to navigate the multidimensional waves on the earth at this time. Your personal Lighthouse with its Beacon of Light signals your needs to the benevolent force of Love active in the Universe. The limitless resources of the Divine can provide all you are intending to receive. In this way you can become a living magnet for the qualities you are radiating into the field of Pure Potential all around you. The living fields that make up your radiance are a Grace-filled key to your happiness and the fulfillment of your Soul’s Purpose in this lifetime. Permission is given to use this message as long as it is used in its entirety and credit is given to the author(s). A Light Activation Session with Shanta Gabriel will bring a true experience of the radiant fields of Light being activated within your being. Light Activation Therapy can gracefully release old patterns that no longer serve you and leave you feeling more connected to your Higher Self so you can thrive in this new multidimensional world.